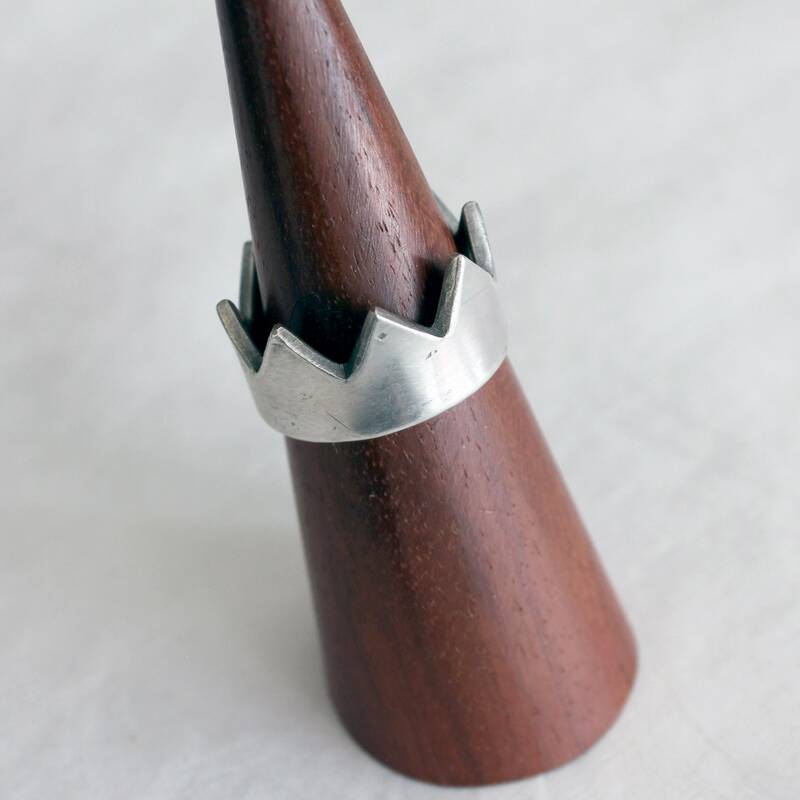 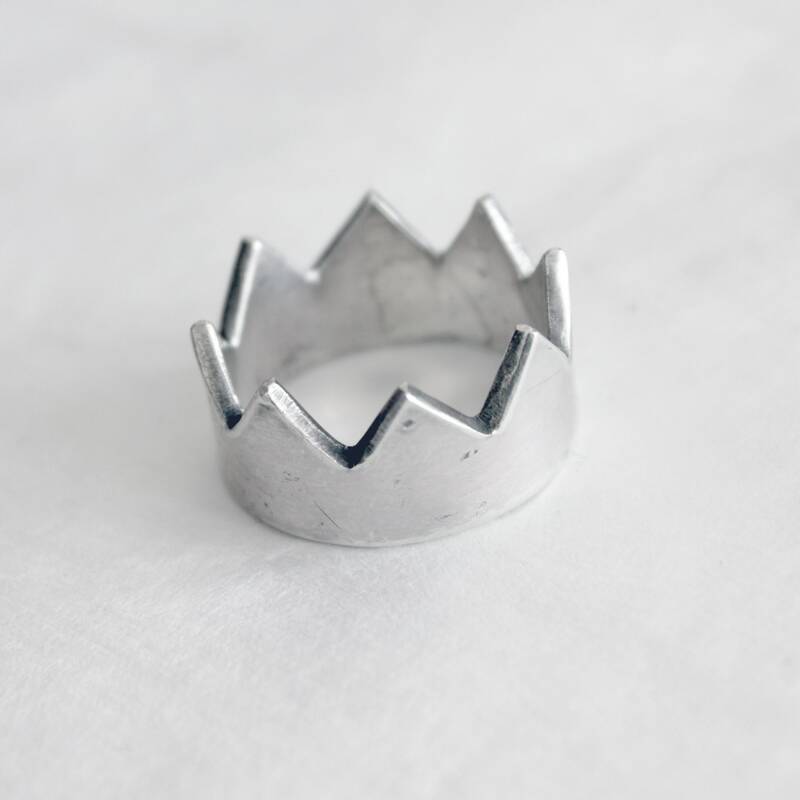 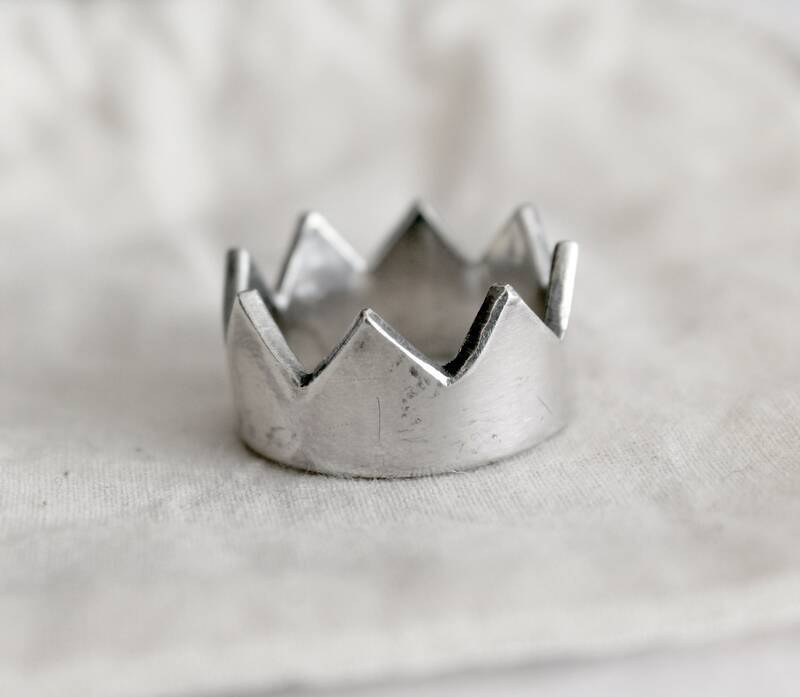 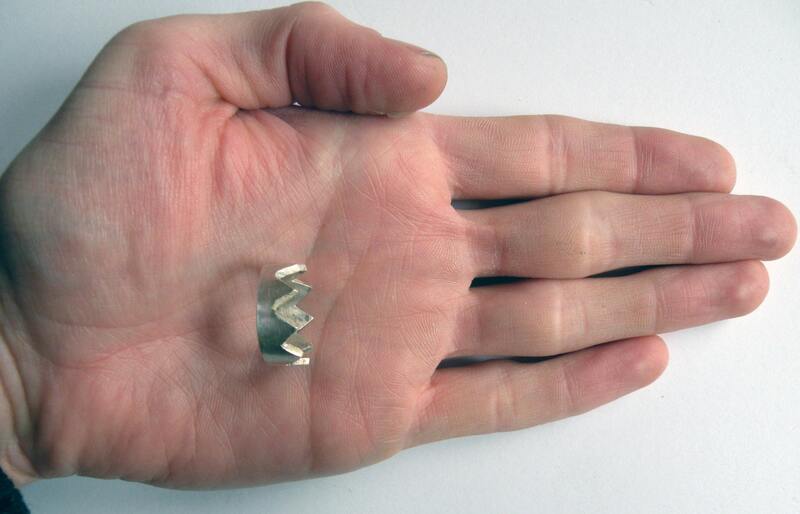 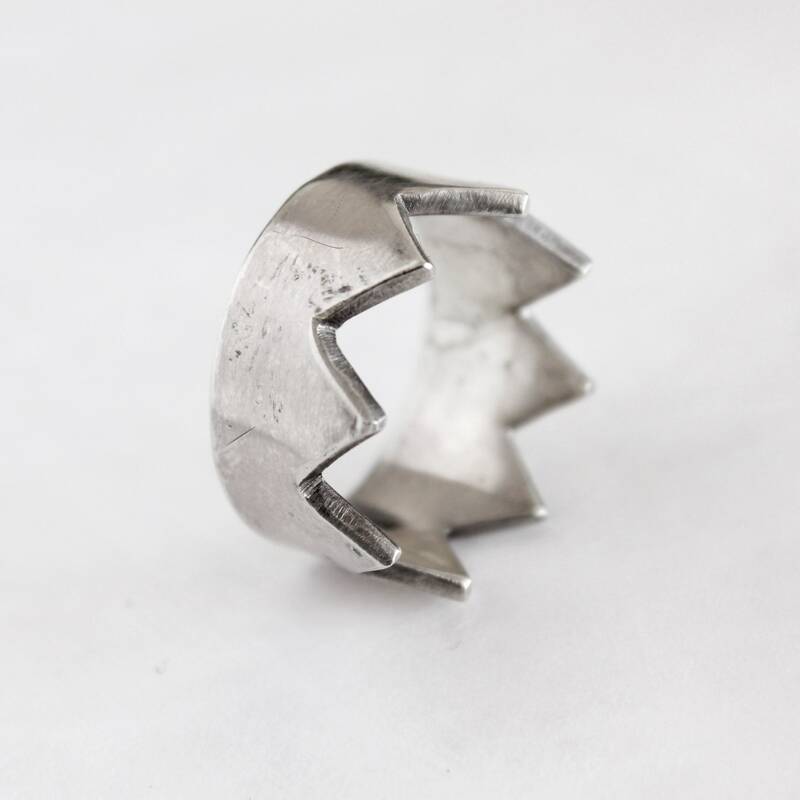 I carefully hand cut, file, form and solder beautiful solid sterling silver into this rustic crown ring. 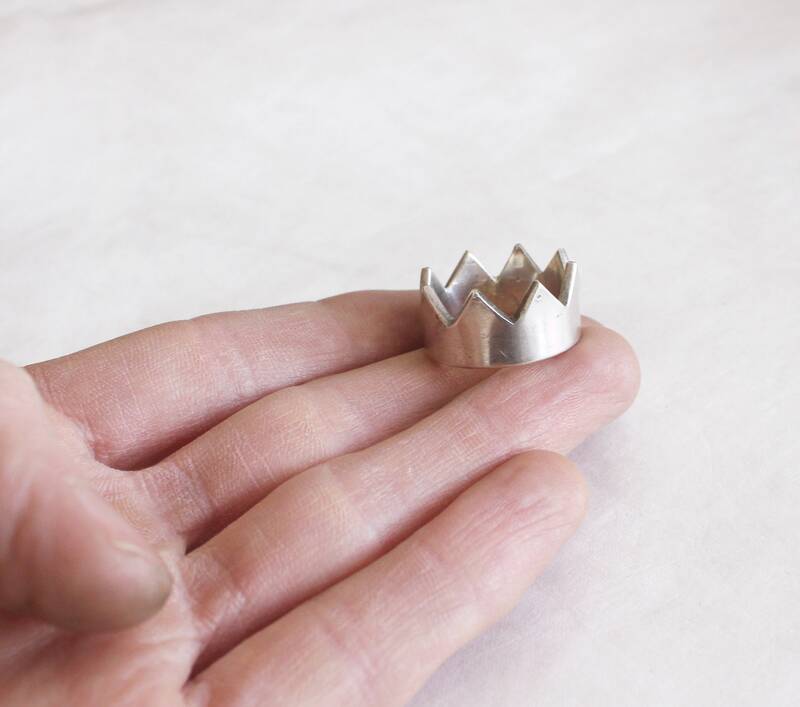 The points of the crown are roughly 10 mm wide, the ring is a nice thick silver. 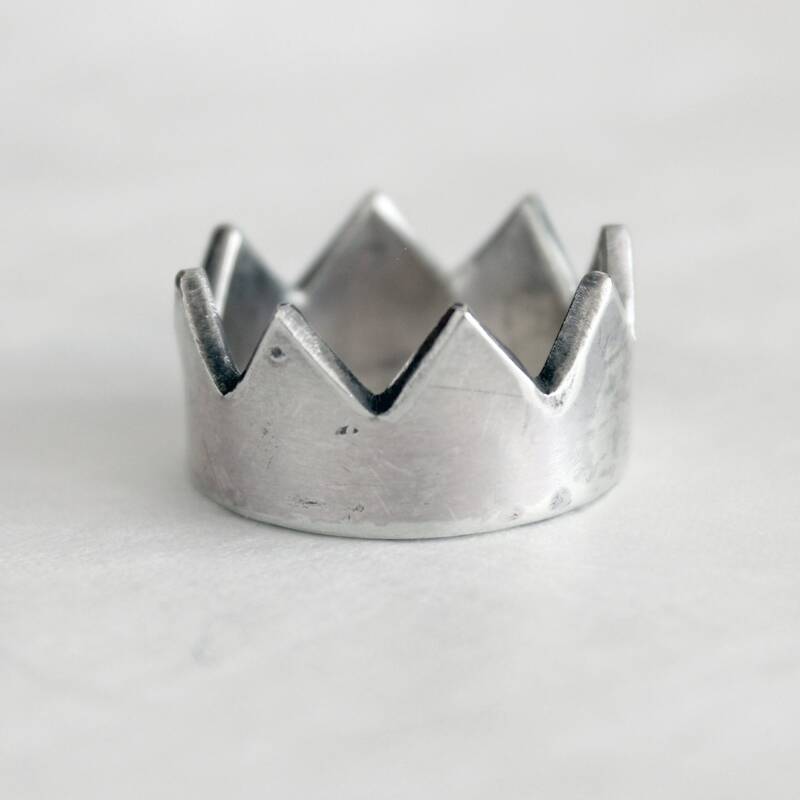 If you'd like to wear it as a necklace, let me know and you can add a chain for $10.